Established as a classical company by founder Celia Franca in 1951, The National Ballet of Canada is the only Canadian ballet company to present a full range of traditional full-length classics. The company’s repertoire includes works by the world’s most celebrated 20th and 21st century masters, Sir Frederick Ashton, George Balanchine, John Cranko, William Forsythe, James Kudelka, Jiří Kylián, John Neumeier, Rudolf Nureyev and others. Canada’s premier dance company has performed for over 10 million people, having toured in Canada, the US and internationally with appearances in London, England, New York City, Washington, D.C. and Los Angeles with upcoming tours to Paris, France, San Francisco, and Hamburg, Germany. A native of Toronto, Sonia Rodriguez studied dance in Madrid and at the Princess Grace Academy in Monaco. She joined The National Ballet of Canada in 1990 and was promoted to Principal Dancer in 2000. Recently, Ms.Rodriguez debuted as Hermione in The Winter’s Tale and as Le Renard in the world premiere of Le Petit Prince. She has danced the principal roles in Swan Lake, Romeo and Juliet, The Sleeping Beauty, Giselle, Manon, La Fille mal gardée, Alice’s Adventures in Wonderland, Nijinsky, as well as in numerous George Balanchine ballets and works by contemporary choreographers such as Alexei Ratmansky, Christopher Wheeldon, John Neumeier and others. Ms. Rodriguez has had many roles created on her, including the title role in Cinderella, Princess Vasilisa in The Firebird and roles in An Italian Straw Hat and The Four Seasons. Ms. Rodriguez has held numerous guesting engagements, including the Stars of the 21st Century Gala in New York City, International Ballet Gala in Madrid, Gala of International Dance Stars in Cincinnati, International Ballet Festival of Miami or Houston Ballet Gala. In 2005, she danced the role of Dulcinea in the world premiere of Suzanne Farrell’s re-staging of Balanchine’s Don Quixote at the Kennedy Center in Washington, D.C. In 2014, Ms. Rodriguez was named one of “The 100 Spaniards” being honored for her success abroad and was inducted into Canada’s Walk of Fame in 2012. In 2011, she was honoured with Spain’s Officer’s Cross of the Civil Merit and wrote her first children’s book, T is for Tutu: A Ballet Alphabet. Piotr Stanczyk was born in Poznan, Poland and trained at the State Ballet School of Poznan before studying at Canada’s National Ballet School. 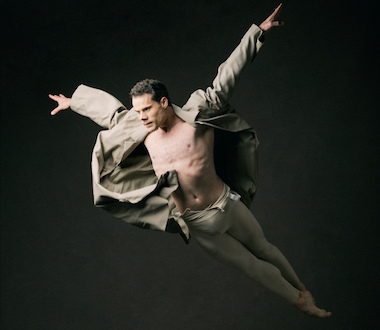 He joined The National Ballet of Canada in 1998 and was promoted to Principal Dancer in 2008. Mr. Stanczyk’s repertoire includes principal roles in Onegin, Canadian premiere of A Streetcar Named Desire, Swan Lake, Pinocchio, The Sleeping Beauty, Don Quixote, Giselle, Romeo and Juliet, Nijinsky, Alice’s Adventures in Wonderland, The Nutcracker and others. Mr. Stanczyk has also performed in company premieres by contemporary choreographers such as Alexei Ratmansky, Wayne McGregor, Kevin O’Day and John Neumeier. As a guest artist, Mr. Stanczyk has performed at the Vienna State Opera, International Ballet Festival of Miami, Charleston Ballet and Brott Music Festival. In 2012, Mr. Stanczyk received the Rolex Dancers First Award and was the recipient of the William Marrié Award for Dramatic Excellence in 2003, for his role as Jaguar in The Firebird. Sonia Rodriguez and Piotr Stanczyk will be participating in CHOREA GALA shows in Košice and Bratislava, 9th and 10th June 2018. Balletto di Milano is one of the most compelling Italian cultural phenomena of the highest artistic level, presenting Italian dance with its extraordinary shows all around the world. Directed by Carlo Pesta and over the years of its history, the Company has worked with famed dancers and world-known choreographers. It was the first Italian Dance Company performing on the stage of the Bolshoi Theatre in Moscow (1999). Moreover, the Company harvested success performing in England, Ireland, Switzerland, Spain and Germany and it is one of the most popular Italian companies abroad. Between 2015 and 2017, in addition to the intense activity in the major Italian theaters, the Company has collaborated in prestigious international events including Saaremaa Opera Festival in Estonia (2015) and received ambitious prizes and awards. In 2017 the Balletto di Milano represented Italy at the Special Inauguration Gala of the FITUC Festival in Casablanca, where Italy was the guest of honor of the year. In October 2017, the Company received the “Box Office Excellence Award”, Oscar della Danza. Giulia Simontacchi is a graduate of the DAMS / University of Padua. During the studies, she was also improving herself in various internships with internationally renowned teachers, she has been part of the contemporary dance company „The Simple Company” and she has collaborated as a dancer in the film Iago di Volfango de Biasi (2008). Since 2013 she has been part of the Balletto di Milano where she holds important roles in shows such as including Anna Karenina,Traviata or Romeo and Juliet. Federico Mella joined the Balletto di Milano as early as a 17-years-old apprentice. Since 2012 he is part of the Company where, after having held important solo roles, in 2013 he was chosen to make his debut as a principal dancer in Romeo and Juliet by Giorgio Madia. He is currently one of Company’s principal dancers and dances first roles in all productions such as Nutcracker, Carmen, Romeo and Juliet and Cinderella. In 2014, he represented the Company at the Grand Gala of the Imperial Ballet, the Great Water Show in Monteverdeor the Batumi International Gala in Georgia. In 2017 he co-created the choreography of the new ballet production Shéhérazade, for the prestigious „FITUC” International Festival of Casablanca (Morocco). In the 2017/18 season he was chosen for the role of Siegfried in the new Swan Lake signed by the Estonian choreographer Teet Kask. National Ballet of Portugal is the prime scene for dance art in Portugal since its establishment in 1977. It produces both classical and modern dance productions and its soloists are visiting Slovakia for the first time with the choreography Lento para Quarteto de Cordas by the renowned Portuguese choreographer Vasco Wellenkamp. Peggy Konik was born in France where she started dancing guided by her parents, former dancers. She studied dancing at Rouen conservatory. She was a freelance dancer between 1989 and 1992, performing in Bordeaux, Toulouse and Limoges. Peggy joined Opera Toulon in 1992 and artistically directed by Jean Louis Ivanoff, performed as soloist in productions of classical ballets. In 1997 she left for Madrid, where she was hired by Victor Ullate Ballet and in 2000 became the first soloist. Peggy has danced multiple roles of classical and modern repertoire such as Don Quixote, Giselle, The Firebird, Van Gogh and others. Peggy Konik has been with the National Ballet of Portugal as the first soloist since 2003 and is portraying lead roles in dozens of productions by worldwide renowned choreographers such as G. Balanchine, N. Duato, W. Forsythe, E. Clug and others. She performed at the International Gala in Japan, international gala of the National Ballet of Portugal, dance festival Bodrum in Turkey, Gala Logroño in Spain and other gala shows in France, Spain, Germany, Italy, USA or in Mexico. Peggy is also active as a teacher, she has been teaching dance at the National Ballet of Portugal since 2016 and has worked as an assistant choreographer at iTMOi / Akram Khan Company, as well as for the production of Swan Lake with Fernando Duarte. In 2017 she was a jury member of Faro-Dançarte dance competition. João Pedro Costa is an upcoming talent of Portuguese dance, a graduate of Portuguese national dance conservatory. His first experience came as an internship at Companhía Portuguesa de Bailado Contemporâneo, a contemporary dance company, where he worked with the prominent Portuguese choreographer Vasco Wellenkamp on the show Fado, Rituals and Shadows. He has been a member of the National Ballet of Portugal since 2015 and performs in both classical and modern shows such as the Sleeping Beauty, Swan Lake, Bayadére, Orpheus and Euridyce and others. 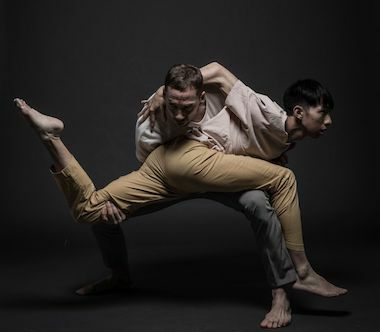 Title of duet choreographed and performed by Ján Špoták and Lee-Yuan Tu refers to an english phrase which emphasises that if two people are involved in a difficult situation they both accept their part in it and share responsibility for it. A process of making decision; trying to stay true to yourself despite the expectations, values ​​and identities chosen by our society. Of course, there are times when decisions are more intricate and complex. But once the decision is done, when we already know what will happen, if we could, would we make the same decision again? Ján Špoták and Lee-Yuan Tu will be participating in CHOREA GALA shows in Košice and Bratislava, 9th and 10th June 2018. Slovenian National Theatre in Ljubljana, with its 100-years-old history, is one of the most innovative national theatres in Europe and one of the leading cultural forces of the whole Balkan peninsula. Its attractiveness is testimonied to by the fact that is artists consist of dancers and choreographers from all around the world and numerous international co-productions. Giorgia Vailati was born in Seriata, Italy. During her studies at A Passo di danza Ballet School, she participated in many national competitions and international courses, among others at Royal Ballet School, La Scala Ballet School and Royal Academy of Dance. In 2012 she entered a 3-years study program at John Cranko School in Stuttgart, Germany, which she finished in 2014. While still studying, she took part in the Simple Symphony by Alastair Marriott and was one of the few students selected to perform in G. Balanchine’s Allegro Brillante along with the soloists of Stuttgart Ballet. Straight after the studies she became a member of the Stuttgart Ballet and performed in Onegin, the Taming of the Shrew (both by John Cranko), Giselle, Krabat and Streetcar Named Desire. In 2015 she was named demi-soloist of the Slovenian National Theatre directed by Sanja Nešković Peršin. Sher performed in production Cacti and the Swan Lake and in february 2016, still in her first season with the company, she portrayed her first lead role of Aurora in the Sleeping Beauty. She later perofrmed in ballets Dr. Zhivago, Romeo & Juliet, the Nutcracker, Symphony of Sorowful Songs, Orphic Hymn, the Swan Lake. She became the soloist of Slovenian National Theatre in february 2017. Kenta Yamamoto was born in Japan. In the period of years 2004-2008 he studied at Shanghai Dance School in China. In 2008, he entered the Royal Ballet School in London where he staid until 2010. In 2006 he went through K-Ballet summer school in Japan and in 2010 the Los Angeles Southland Summer Ballet School in the USA. Among his most noteworthy successes are performances in the Swan Lake and the Spanish dance of this show at Dance School in Shanghai (2006, 2007), variations on balletsDon Quixote and Giselle in Japan (2008), Coppélie at Royal Ballet School Annual Production in London (2009), variations on the Bayadère and the Swan Lake in Japan (2009) and also the Cinderella (2010) and La Valse (2010) with London Royal Ballet. Kenta Yamamoto is part of the Slovenian National Theatre since 2010. He gained recognition through his tremendous performances in the Nutcracker, Giselle, Stravinsky, Coppélie on Montmartre, the Sleeping Beauty, Don Quixote, Tristan and Isolda, the Swan Lake or Romeo & Juliet. Each dancert in sthis duet must be a musician. Harmony between music and performance is the base of the dance. Each on their own and altogether, they express a specific chord or sound, copying the music structure. Every Pas, adagio, lift, jump or motionlessness that dancers perform must be strictly coordinated with the music. Motion scale is identical to the music’s dynamic. Choreographical structure comes out of the musical structure. Dancers follow musical patterns coming from the musical instruments. Body language is being adapted from the music rhythm. Native of Georgia, she studied at Tbilisi’s Vakhtang Chabukiani State Arts School. Straight from the studies, she became the first soloists of Georgian State Opera, and after one-year tenure in Polish Poznan, she spent 3 more year there. She was soloist of Baltic Opera in Gdansk (Poland) between 2005 and 2008 and then transferred to the Polish National Opera in Warsaw, where has been soloist ever since. Together with Eduard Bablidze, she performed at festivals and in gala shows in China, Japan, Oman, Turkey, Great Britain, Poland, Russia, Spain, Georgia and other coutries. Born in Georgia, Eduard studied dance at Tbilisi’s Vakhtang Chabukiani State Arts School, dance pedagogy at Fryderyk Chopin Music University in Warsaw and also management at Warsaw University. He has been the first soloist of Georgian State Opera in Tbilisi and is based in Poland since 2001. Eduard was a soloist of Poznan Opera, Baltic Opera in Gdansk and spent 8 years as a dancer and choreographer in Warsaw’s Polish National Opera. His repertoire includes pieces such as the Nutcracker, Don Quixote, Giselle, Swan Lake, Tristan and others in choreography of notable choreographers such as Krzysztof Pastor, Ed Wubble or Jiří Kylián. He is currently a guest teacher and choreographer at Krakow Opera. Together with Ana Kipshidze, he performed at festivals and in gala shows in China, Japan, Oman, Turkey, Great Britain, Poland, Russia, Spain, Georgia and other coutries. The National Theatre is the prime stage of the Czech Republic. It is also one of the symbols of national identity and a part of the European cultural space, with a tradition spanning more than 130 years. It is the bearer of the national cultural heritage, as well as a space for free artistic creation. Today, the National Theatre is made up of four artistic companies – the Opera, Drama, Ballet and Laterna magika. It artistically manages four stages – the three historical buildings: the National Theatre (1883), the State Opera (1888), and the Estates Theatre (1783), and the more recently opened New Stage (1983). 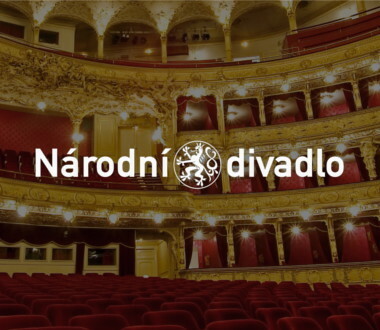 The Opera, Drama and Ballet companies perform not only titles from the ample classical legacy, in addition to Czech works, they also focus on contemporary international creation. Born in Kishinev, Moldova, Alina Nanu studied at the Moldavian State Dance Conservatory and subsequently at the Prague Dance Conservatory, graduating in 2010. As a member of the conservatory ensemble, she made a number of tours, including of Spain, Germany and the USA. While still a student, she participated in numerous competitions, with the most noteworthy accolades including second prize at the International Ballet Competition in Brno (2009) and first prize at the International Ballet Competition in Romania (2009). She launched her professional career in the 2010/11 season as a member of the ballet company of the State Opera Prague, where she was named a soloist in the 2011/2012 season. Audiences have seen her performing the roles of Odette/Odile in Tchaikovsky’s Swan Lake, Kitri in Don Quixote, Myrtha in Giselle, etc. She has been a soloist of the Czech National Ballet since the 2012/13 season and became the first soloist in 2015. Born in Italy, Giovanni Rotolo started his professional ballet training at the age of 14 in Florence at the Accademia Internazionale Coreutica, under the direction of Elisabetta Hertel, from which he graduated in 2011. From August to September 2010, he was on a secondment with the West Australian Ballet (Perth, Australia) under the guidance of Ivan Cavallari for the production of The Sleeping Beauty by Marcia Haydéè. He participated in and won a number of competitions in Italy and abroad: the Rieti Danza Festival 2008 (third place, Junior Classical category), Settimana Internazionale della Danza Spoleto 2011 (third place, Senior Contemporary category), and the World Ballet Competition in Orlando, USA (Bronze Medal, Senior category). He joined the Czech National Ballet in Prague in August 2011 as a corps de ballet dancer, and was named a demi-soloist in 2013, soloist in 2015 and the first soloist in 2016. Slovak Dance Theatre (formerly known as Bratislava Dance Theatre) was founded in 1997 and is the most successful Slovak company producing modern dance shows. For ten years, Tower Stage Theatre was its home stage for 10 years. SDT is an independent dance theatre company working on a project basis and cooperates with the best dance performers of the current Slovak and European scene. Its reperoire consists of total theatre pieces combining music, dance and drama elements: among others Carmen, The Firebird, Labuťko (Swanie), Bolero / A Mother’s Story, Romeo & Juliet. It has performed more than 1 500 shows up to date. Its art was has been applauded in metropolis such as New York, London, Tokyo, Beijing, Rome, Madrid, Quebec or Amsterdam. In autumn 2017, SDT went on Carmen World Tour in the national theatres of Croatia, Serbia, historical opera in Helsinki, Finland and in Mexico City. in April 2018, SDT came back to Finland to be a part of the events celebrating 25th anniversary of Slovak Republic. Miroslav Martinovič was a competitive ballroom dancer between 1994 and 2010. He started his professional dancing career in 2004, having performed in many different productions, mainly in musicals but also in dance projects both home and abroad. He has been cooperating with the Slovak Dance Theatre for several years now. Miroslav is also a member of a dance company Credance (finalists of Czecho-Slovak Got Talent show in 2012). In the past several years, he is the first soloist of Slovak Dance Theatre where he portays Don José in the hugely-successful production of Carmen which brought him to a world tour in 2017 and Finnish tour in 2018. He also made an unprecedented performance in SDT’s Richard III in the titular role. Among his most notable pieces are Neberte nám princeznú, West Side Story, Painted on the Glass, Romeo & Juliet, Jesus Christ Superstar and many others. He was also a guest performer in the Tempest by Opera Graz. Ivana Kučerová is an experienced Slovak dancer and choreographer who has actively worked and still works on professional stages of Slovak Dance Theatre, Slovak National Theatre, Nová scéna Theatre, State Theatre Košice, Puppet Theatre Košice and others. As a dancer she performed in Canada, Italy, China, France, Austria, Mexico, Croatia, Serbia, Finland and other countries. Her repertoire includes title such as The Firebird, Jesus Christ Superstar, Carmen, Richard III., Cats, Mamma Mia, Romeo & Juliet, Painted on the Glass, The Fifth Element a and others. „Stage is my second home“. Ballet company of State Theatre Košice is one of the leading artistic bodies in Slovakia and abroad. The ballet company was founded in 1947 and has gone through different forms and transformations accordingly to the era it existed in. Its renaissance started in 2000 when the the renowned Slovak choreographer Ondrej Šoth took over the artistic directing. His choreography and directing work, as well as suggestive perception of art and theatre, left a deep professional footprint on the ballet company of Košice State Theatre. Šoth created many ballet productions that have succeeded both home and abroad. The company received numerous awards under Šoth’s lead and its quality has put it among the top European professional companies. Currently led by Andrii Sukhanov, the company commands a fine roster of dancers and varied repertoire of all genres typical for a theatre house. The repertoire includes wide-known classical titles such as the Swan Lake, the Sleeping Beauty, the Nutcracker, Giselle, Bayadère, neo-classical ballets such as Anna Karenina, Romeo & Juliet, Carmen or Spartacus and also contemporary pieces like Death in Venice, Sándor Márai, Verdi Requiem, Charlie Chaplin, the Diary of Anne Frank, Hamlet and others. Sergii Iegorov was born in Kiev where he studied dance at conservatory and university. He became soloist of the Ukrainian National Theatre in Kiev while still studying and spent 8 years at its stage. In 2006, he became soloist of the State Theatre Košice, went on to be soloist of the Slovak National Theatre in 2010-2011 and came back to Košice since. His repertoie includes solo parts in pieces such as the Swan Lake, Carmen, Romeo & Juliet, Requiem, Odysseus, Bayadère, Spartacus, Cinderella and many others. He is a multiple prizes laureate and a top-contender of many competitions in Ukraine and across the world and was awarded the Dancer of the Year 2009 TAOS Award in classical dance. He performed at festivals in Japan, Italy, Portugal, Spain, Mexico, Germany, Turkey, Canada, Russia and other countries. Vasyl Sevastyanov is also coming from Kiev, having studied dance at conservatory and choreography at the university. After finishing conservatory studies, he became soloist of the State Theatre Košice, where he also started acting as an assistant choreographer later. He was a guest performer at the Slovak National Theatre between 2010-2012 and has been a guest at Sopron (Hungary) since 2015. He portrayed many a role, mostly the lead ones, in ballets such as the Swan Lake, the Marriage by Figaro, Carmen, Romeo & Juliet, the Hunchback of Notre Dame, Le Petite Prince, Requiem, the Nutcracker, Odysseus, Bayadère, Giselle, Spartacus, Cinderella and others. He toured and took part in festival in Spain, Italy, Germany, Mexico, Hungary, Poland, Czech Republic, Ukraine, Canada, Russia and other countries.